Ever since the original iPod, iTunes has been the official method for transferring content from your computer to an Apple device. It provides an organized and secure way of storing media files on your iPod, iPhone or iPad. But iTunes sync may not be the preferred method of content transfer for all, especially for Windows users, or the ones who have recently switched from Android to iOS. Windows users may use iTunes as a syncing tool, but not necessarily as the primary media player. As such, they might not have a proper, organized iTunes library suitable for syncing. On the other hand, Android users are more used to copy files and folders directly into their devices, and the concept of syncing content might not be convenient for them. And then there is the fact that iTunes does not natively support a lot of popular media formats, so can’t directly transfer such files into your iPod, iPhone or iPad. As a workaround, you can probably use a third party app to play such content (by copying files to in-app storage), but then again, you might miss out on the experience provided by the native apps, which are also more optimized to be battery-friendly for your device. Last year, WALTR provided its users with a better, more convenient solution for transferring content from a computer to an iPod Touch, iPhone or iPad, compared to the conventional iTunes sync. By a simple drag and drop operation, users were able to transfer music and videos directly into the native iOS Music and Video apps. It conveniently removed the dependency of an organized iTunes library, without compromising on the native, optimized experience. This time, with WALTR 2, the company intends to break all boundaries between you and your Apple device. Taking drag and drop content transfer to the next level, WALTR 2 now supports more types of media – Music, Videos and TV shows, Ringtones and even Ebooks and PDF files. 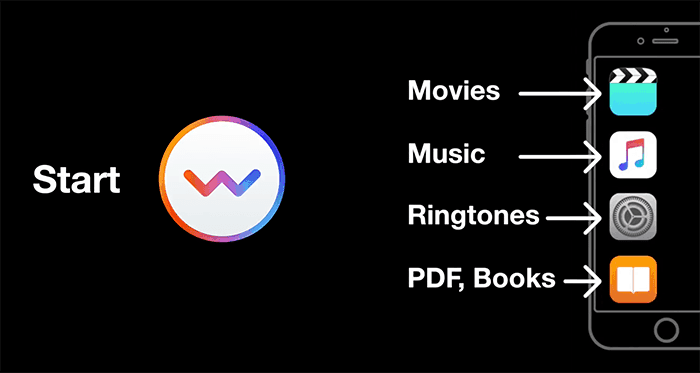 Each different type of file lands up inside their respective default apps (Music files in Music app, Videos & TV Shows in Videos app, Ringtones in Sound Settings and Ebooks in iBooks app). And even if a particular file is not supported by Apple’s default media app, it is automatically converted to the supported format on-the-fly. One of the noteworthy features of the new WALTR 2 is the fact that it’s compatibility extends beyond iOS devices to almost any iPods ever released by Apple. That includes the original iPod Classic as well. WALTR provides a safe and reliable alternative to iTunes sync, without requiring to jailbreak the device or put Apple’s warranty at risk. So how is WALTR able to simplify content transfer between your computer and your Apple device? Turns out, there is some major technology at play here. Automatic Content Recognition (ACR): In addition to automatically categorizing files according to their media type, WALTR 2 intelligently recognizes the content being transferred and adds relevant metadata information to the files from the Internet. Next time, when you watch a movie or TV show, transferred using WALTR 2, you’ll find information such as title, genre, description, actor details and more, in the video player. It’s as if you purchased the video from the iTunes Store. Smart Adaptive Conversion (SAC): It’s a Softorino’s patented technology, which takes any iTunes unsupported media format and converts it on-the-fly with zero quality loss. As a result, all files are adapted for native seamless playback. WALTR claims to use the fastest on-the-fly conversion technique, which is up to 5 times faster than its competitors (according to the WALTR team). Universal Connection Bridge (UCB): With the help of this, WALTR 2 is able to establish a Direct and reliable connection between the computer and the Apple device (from the entire lineup of Apple iPods starting from the original iPod Classic built in 2001). Automatic WiFi (aWiFi): As long as your computer and Apple device shares the same WiFi network, WALTR 2 will automatically detect and connect with the device. No additional setup required. For this feature to work, ensure that “Sync with this Device over WiFi” option is checked in device specific preferences under Options, in iTunes. 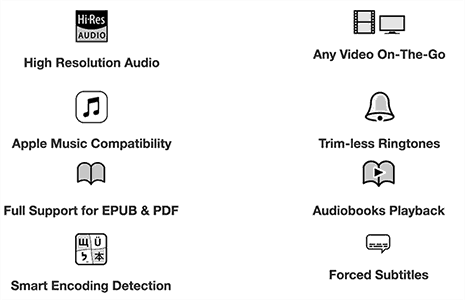 Apart from these, WALTR 2 makes use of other advanced technologies, such as High Resolution Audio (FLAC, ALAC formats) support, Smart Encoding Detection, Apple Music Compatibility, Audiobook support, Subtitle support, 4K video support, etc., that helps it achieve what it is able to! WALTR 2 is available for both Windows and Mac users for free trial and a regular price of $39.95 for a single user lifetime license. But for 7labs readers, there’s a special discount of flat 10% (up to 59%) on all WALTR 2 licenses. Let us know your views and opinions on WALTR 2 in the comments below.